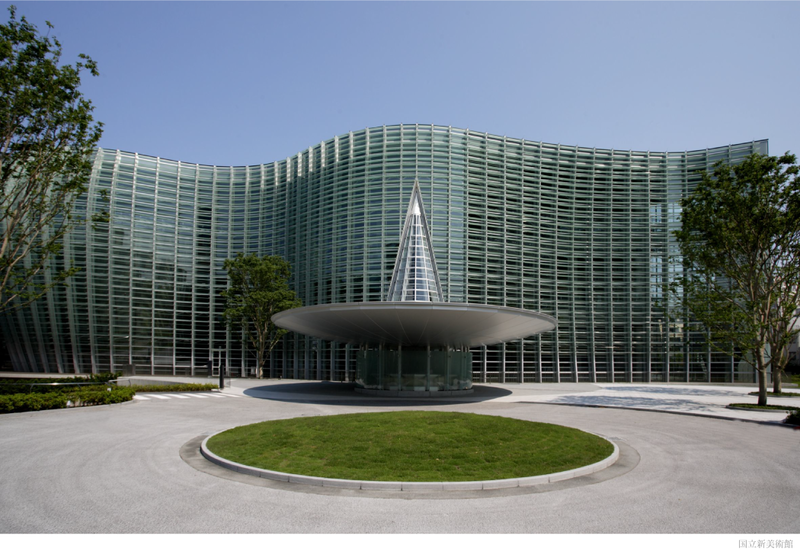 ‘Glass Tea House − KOU-AN’ is coming to the National Art Center, Tokyo from this spring. We hope the "Glass Tea House" would bring you to an experience to sense the history and future of Japan. 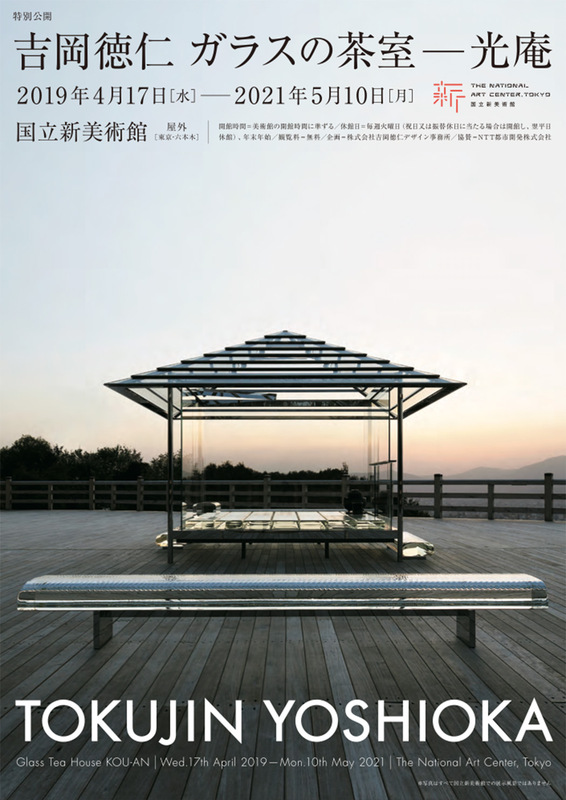 ‘Glass Tea House − KOU-AN’ which made its debut at the 54th La Biennale di Venezia in 2011, and which was also unveiled to great acclaim on the Shogunzuka Seiryu-den stage, Tendai Sect Shoren-in, Kyoto, is coming to the National Art Center, Tokyo, together with the unique and lauded ‘Water Block’ glass bench, which is part of the Paris Musée d’Orsay collection. *On Tuesdays that fall on national holidays the Center will be open, and closed the next weekday. 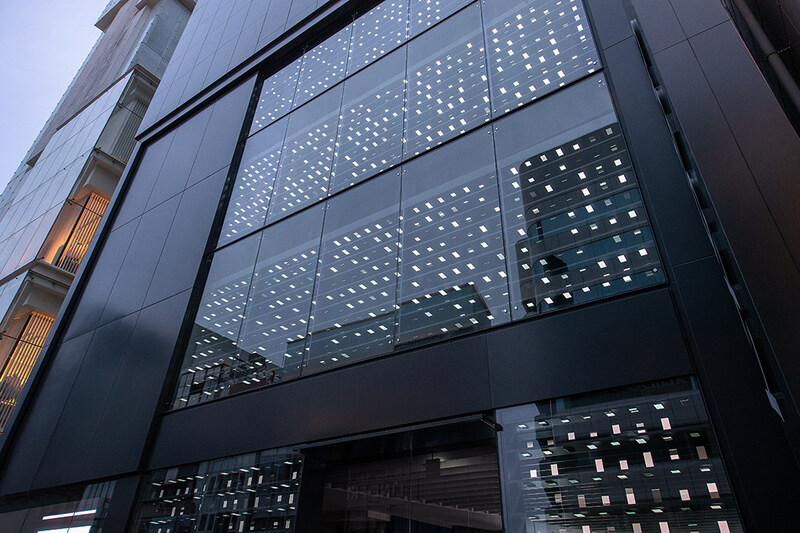 Planning by TOKUJIN YOSHIOKA INC.
We are pleased to announce that Tokujin designed the architectural facade for Galaxy Harajuku, which opened on March 12th. Architectural facade composed of light with sense of future. Transparent layer of light floating in the air emerges as a memory for the future. 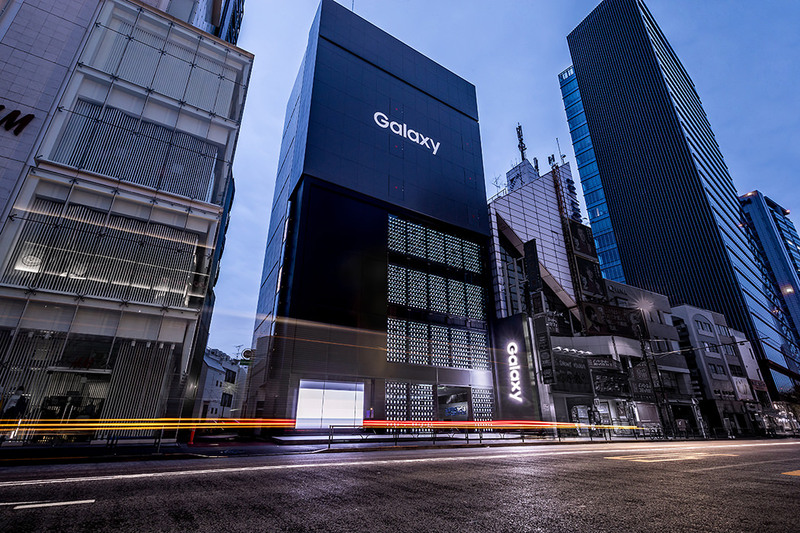 Projected by more than 1000 smartphones, the image illuminates the new vision orchestrated by Galaxy's technology. Please visit WORKS for more information. 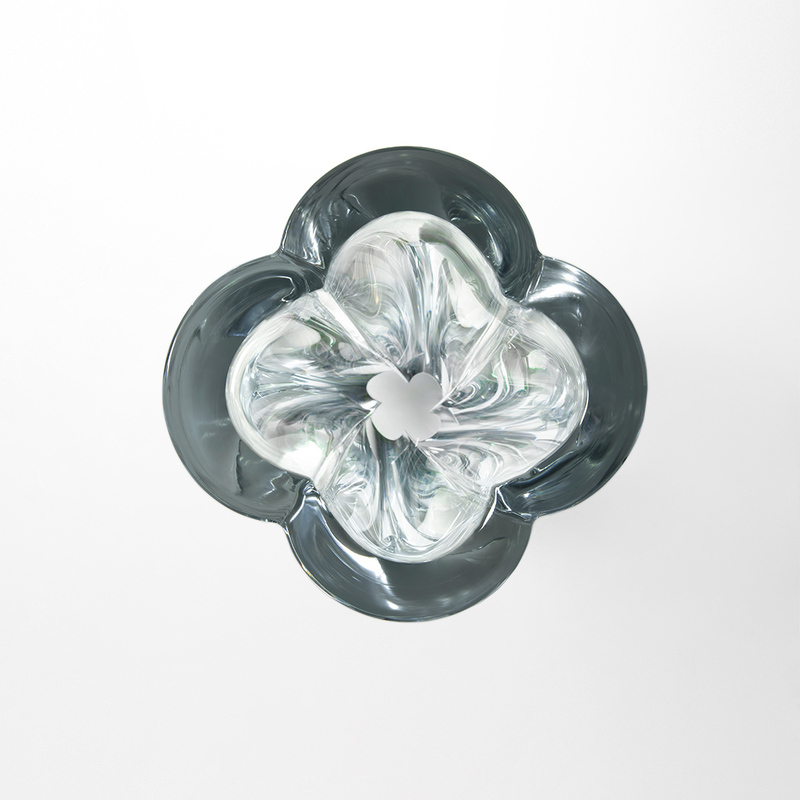 Tokujin Yoshioka presents 'Blossom Vase' in collaboration with Louis Vuitton Objet Nomades at Salone del Mobile 2019. 'Blossom Vase' is a collection of two vases inspired from Louis Vuitton's monogram pattern that symbolize the maison's history. The light refracted through the twisted glass gives a sense of wonder. 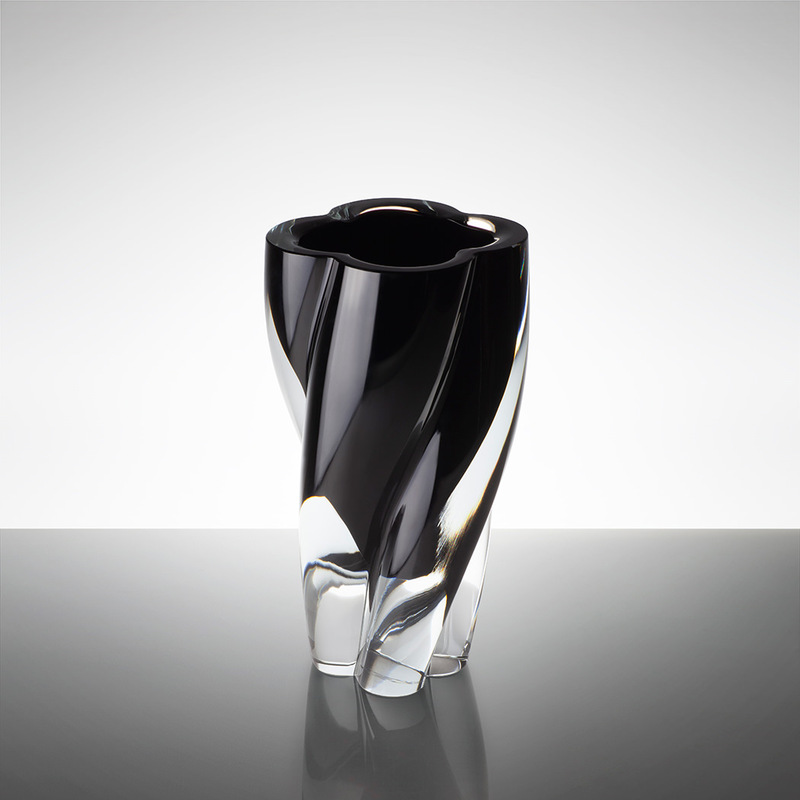 The design plays upon more than just a glass, and appears as a sculptural piece of light. “Glass Tea House − KOU-AN” will travel across Japan towards the year 2020. We are pleased to announce that the “Glass Tea House − KOU-AN” will begin travelling across Japan towards the year 2020. 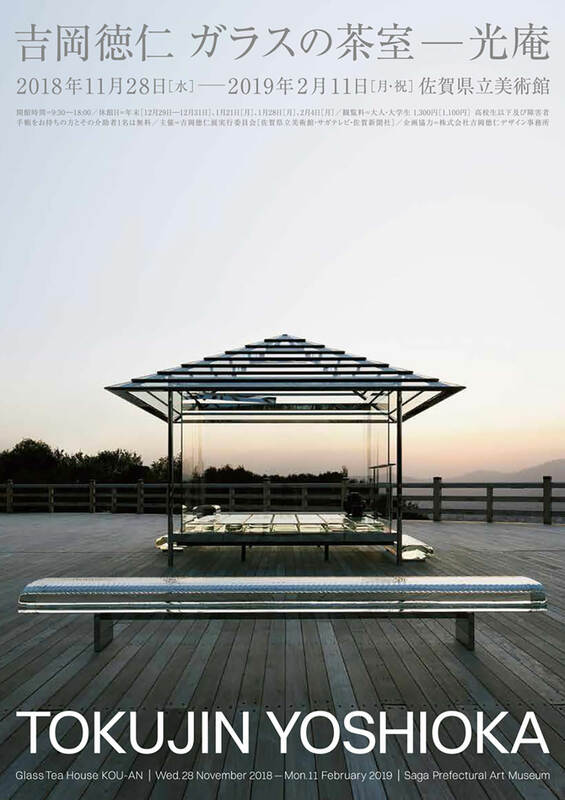 The concept design of the “Glass Tea House − KOU-AN” was presented at the Glasstress 2011, the collateral event of the 54th La Biennale di Venezia. In 2015, the teahouse was first unveiled at the stage of Seiryu-den which is in a precinct of Tendai Sect Shoren-in, Kyoto, and was in the limelight worldwide. Now the teahouse will travel to Saga prefecture, and it will be exhibited at the Saga Prefectural Art Museum from November 28th, 2018. The teahouse is also planned to be seen in Tokyo in 2019. In this exhibition, Tokujin showcases the installation of “Glass Tea House - KOU-AN” inside a white exhibition space along with some of his renowned art works such as Water Block (2002), which is permanently displayed at Musée d' Orsay in Paris, and Waterfall (2006). Organized by Saga Prefectural Art Museum, Saga Television Station Co. Ltd, and Saga Shimbun Co. Ltd.
With the cooperation of TOKUJIN YOSHIOKA INC.
We are pleased to announce that Tokujin Yoshioka designedthe newly opened ISSEY MIYAKE shop located at Brook Street in the Mayfair district of London. The 200 square-meter space, spread across three floors, features a symbolic giant 12m-long form. It has the appearance of a sculpture, while at the same time serving as a hanger pipe to display the clothes as if they are floating in mid air. 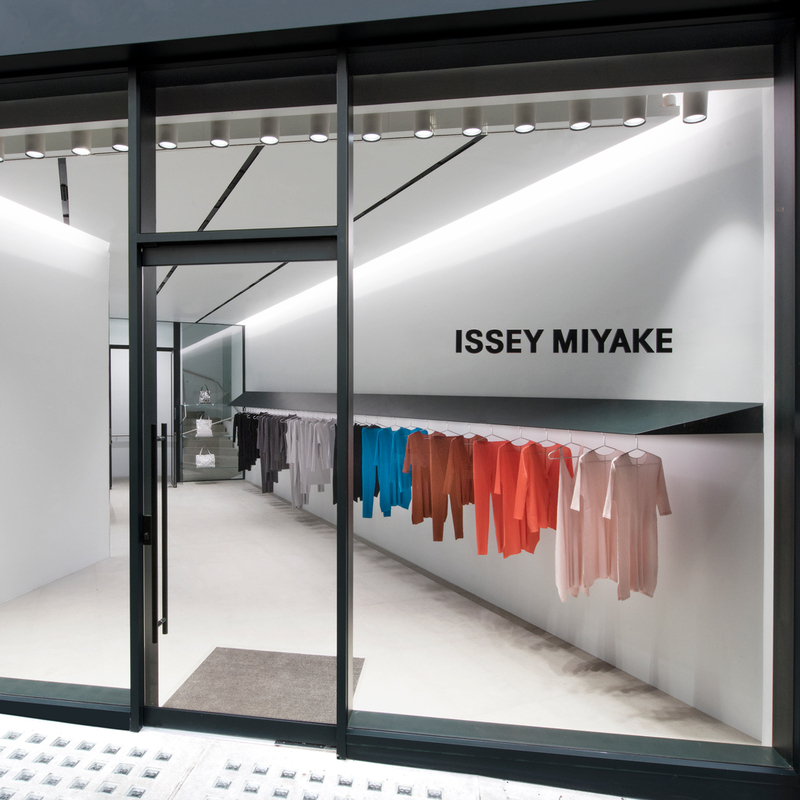 The innovative making things of ISSEY MIYAKE are represented in this minimal space. 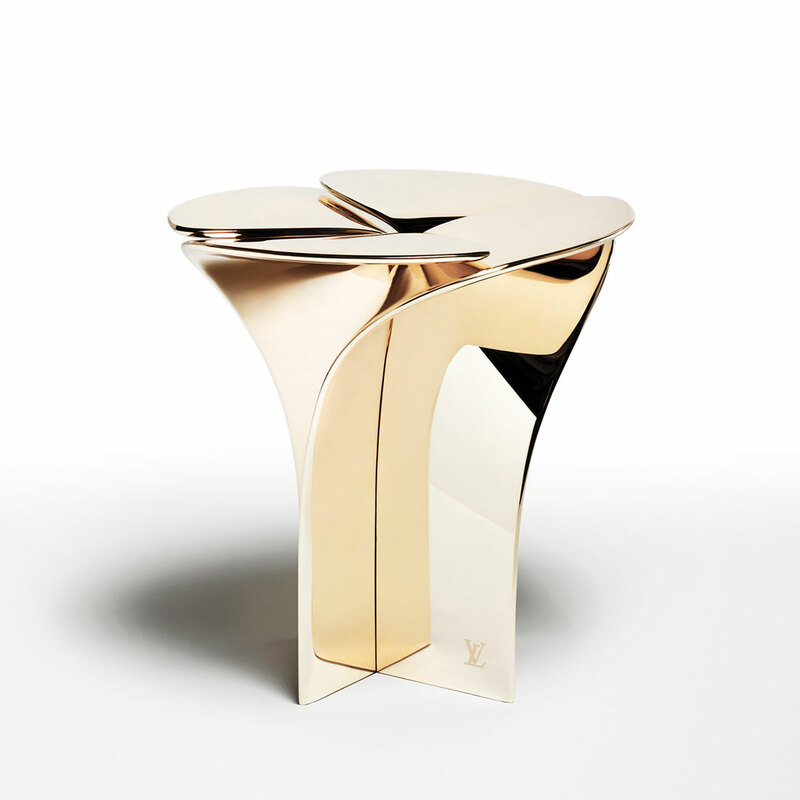 A stool inspired by Louis Vuitton's petal monogram - Tokujin Yoshioka presents the sliver metal and champagne gold 'Blossom Stool' from Louis Vuitton Objets Nomades Collection 2018. First presented in 2016, 'Blossom Stool' reflects the techniques of Louis Vuitton's craftsmanship with wood, leather and metal cultivated through the maison's long history. 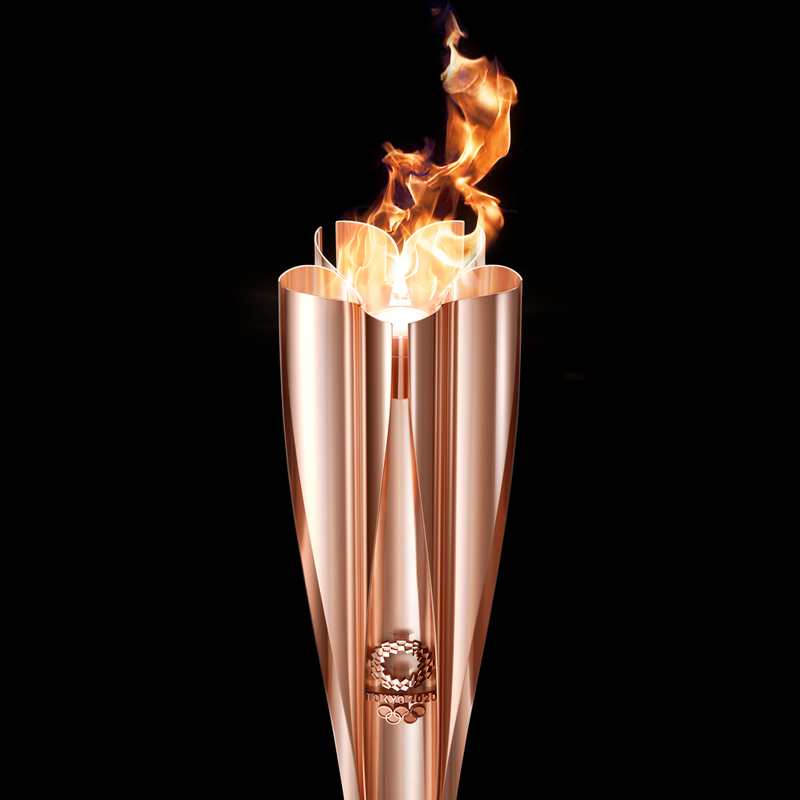 The design represents the motion and structure of blooming petals - the transformation from a bud to a flower. At Milan Design Week 2018, the latest 'Blossom Stool' in sliver metal and champagne gold will be added to the collection. Tokujin Yoshioka combines the symbolism of Louis Vuitton's history and the futuristic aesthetic of silver and gold to give the impression of a trip through time. We are pleased to announce that Tokujin Yoshioka is presenting the latest projects at Salone del Mobile 2018. 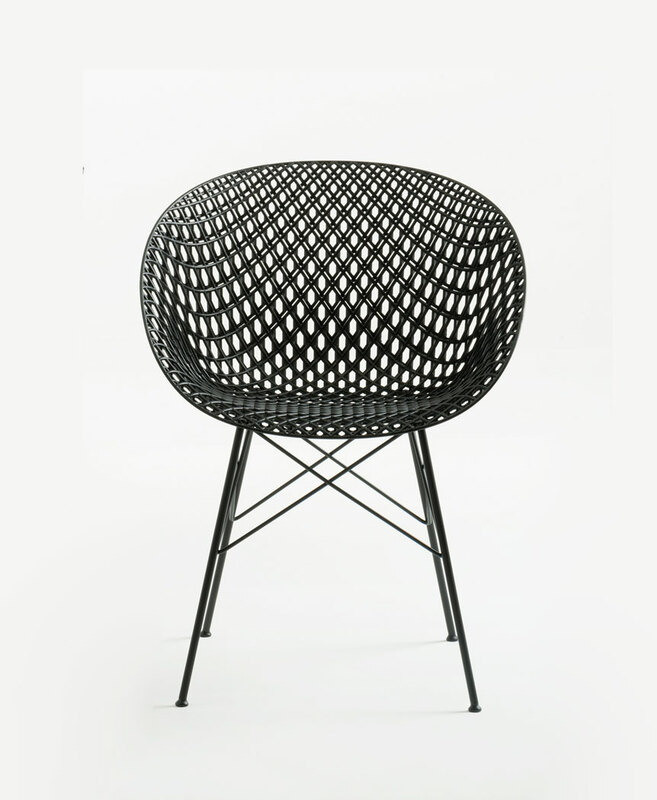 ‘MATRIX chair’ features an innovative 3D structure - the latest designs join the ‘MATRIX’ series. 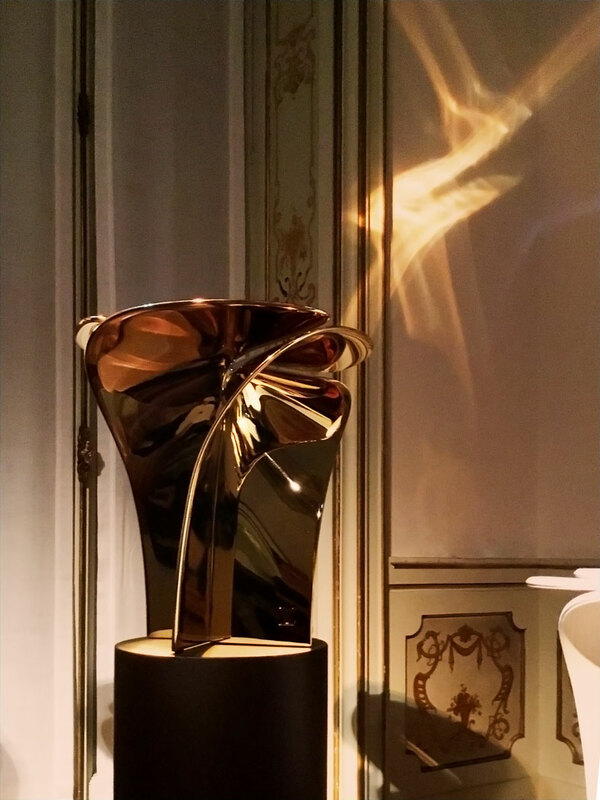 'Starlight - Glass Table' and 'Starlight - Mirror' are the result of the latest collaboration with Glas Italia.